Have you ever gone to get your horse and realised it was less than enthusiastic about seeing you? Do you wish your horse would be more interested in what is coming? Not be such a bored horse. Assuming that there are no physical problems such as poorly fitting tack, sore muscles or joints, teeth problems or anything else that might make the horse uncomfortable. The lack of enthusiasm and sense of boredom for what is coming might just be a bored horse fed up with the routine. Doing something different might be all it takes to recharge your horses interest in being with you. Just as with people, horses get tired of doing the same old thing over and over. Some get to anticipating cues if they get drilled too much in the same pattern. I’ve seen horses in the show ring that learned the pattern of gaits announced and would execute them without the riders help. That might seem like a good thing to some, but what if the judge mixes things up and the horse keeps doing its normal routine? Lots of riders have one major interest, the thing they want to do with their horse and they stick with doing that almost exclusively instead of developing a well rounded animal by offering it a variety of experiences. Horses that never get out of the arena, whether they be dressage, barrel, show, or riding school horses, can get too used to being in just those surroundings and then become upset when they’re not in their comfort zone. Or they may become bored there and not work nearly as well. Horses only ridden forward on trails may not be as responsive to cues as the rider would like and they might be uncomfortable and lack confidence in an arena or show situation. 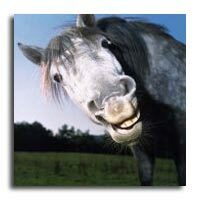 Wouldn’t it be nice to have a horse that could go from one situation to another and handle it well? To counteract the problem of your bored horse becoming ill at ease in different environments, provide your horse with a variety of experiences. Barrel horses don’t always have to be hyped. Some of the best ones I know do things other than racing, most of the time. A leisurely trail ride, dressage basics, or some other type of work can make them much more responsive, enjoyable to ride and versatile. 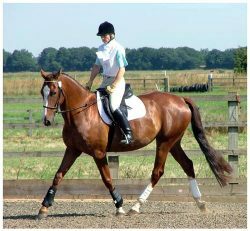 Dressage and show horses can benefit from trail rides as well as other activities such as moving cows. In fact, slow, precise cow work can give any horse a purpose for some of the moves they need to be able to execute fluidly in competition. 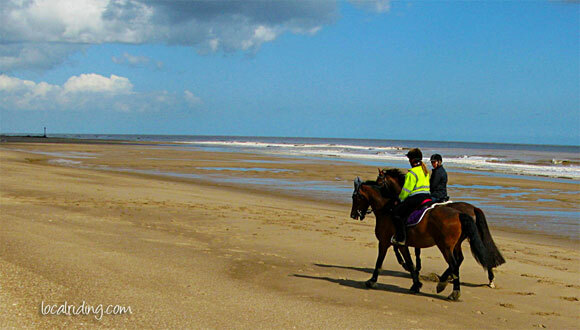 A trail ride or beach ride is a great way to keep your horse interested simply due to the changing scenery. But a trail horse can get too dependent on following the horse in front of it or insisting on taking the lead itself. A good trail horse responds to a riders body, leg, focus, and rein cues, and there is no reason a trail ride shouldn’t be a chance to work on moving your horse laterally, disengaging, serpentines, backing, and doing transitions. Obstacles on the ride provide a perfect opportunity to practice these moves and provide your horse with a feeling that there is a reason for the moves. One doesn’t have to just go down the trail. Spend time trading positions within the group too so that your horse does not get in the rut of leading, following, or being with a certain buddy. Today, when you go to bring in your horse, try just hanging out with it for a while. Or, instead of riding, go on a trail walk together with you directing your horse from the ground. You can practice a lot of moves from the ground and get your horse more responsive without being on his back. Keeping things interesting for your bored horse will pay off by giving you a happier, more versatile horse and also help expand your riding horizons. Open up new enjoyable activities that you can both enjoy together.